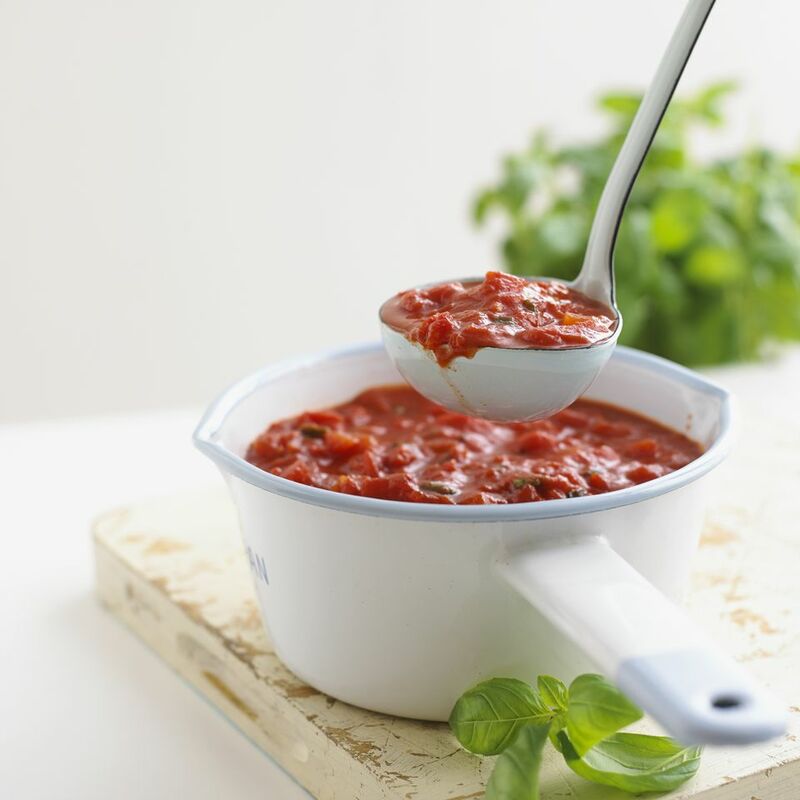 The Portuguese sauce is a hearty tomato sauce made with sautéed onions, garlic, tomato concassé and parsley. Tomato concassé (pronounced "conk-a-SAY") is a fancy culinary term to describe tomatoes that have been peeled, seeded and roughly chopped. This recipe calls for 1 quart of the classic tomato sauce, which is one of the five so-called mother sauces of the culinary arts. You could instead use 1 quart of basic tomato pasta sauce, which is easier to make. Season with the salt and pepper and serve right away.